Damn, remember The Current War? 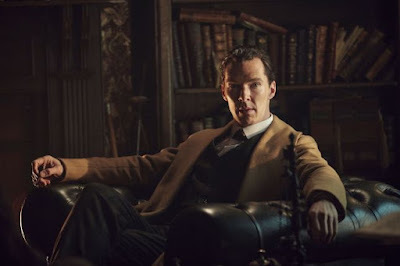 There was a lot of electricity (pun intended) behind the film about inventors Thomas Edison and George Westinghouse, played by the stellar duo of Benedict Cumberbatch and Michael Shannon. That was before the film was rushed for debut at TIFF a couple of years ago and the reaction was about as low wattage as it gets. Director Alfonso Gomez-Rejon complained the cut shown wasn't of his approval, and when Harvey Weinstein got involved things only got worse. The film got shelved and has been in limbo ever since. Deadline reports the wait for The Current War's release is finally over, now that distributor Upstart 101 Studios has stepped in. A new cut by Gomez-Rejon clocks in at 10 minutes shorter is expected to get a wide release. There's some legalese involving exec-producer Martin Scorsese that makes this whole thing possible, but the point is that a movie many expected to be an Oscar contender will finally be made available. For those who may have forgotten, The Current War follows the rivalry between Edison and Westinghouse to see who could create a stable electric current to power the future. Nicholas Hoult co-stars as Nikola Tesla, with Katherine Waterston and Tom Holland co-starring.